Student Management System is a basic C++ program for education establishments to manage student data. Student Management Systems provide capabilities for entering student test and other assessment scores, build student schedules, and manage many other student-related data needs in a school. 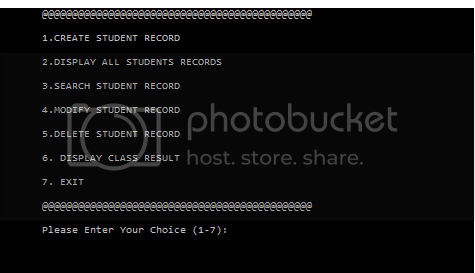 In this Student Management System project, user can create, display, search, modify and delete student record from a binary file. can i have output screenshot for this program ?